Traveling by foot has become deeply rooted in all realms of my existence. My feet took their first steps along the Appalachian Trail just days after writing my final college exam, and this craving for movement and adventure has been brewing like a never-satisfied hiker hunger ever since. The simple things are pleasures, and the extravagant are distracting. I believe in the power of new places, people and experiences that challenge and shape our self-mindfulness and understanding of others and the world surrounding us. You may find me answering to Baby while walking or paddling a long trail (an enormous and growing list), or driving backroads with my DeLorme atlases, searching for quiet spaces and ambitious beers. 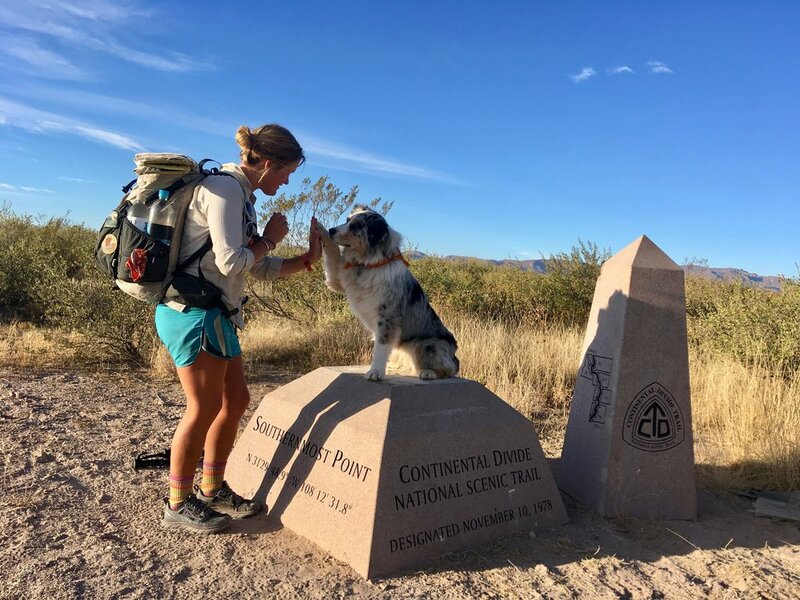 I’m often traveling solo, making connections along the way, and always with my loyal and down-for-anything pup, Luna. When I’m not on the move, I pursue freelance projects that may sustain this nomadic lifestyle. Roughly 7,000 miles later, 6,000 of which included Luna, I still love to walk. Photos and stories of my early years growing up in Maine reveal that I spent most of my time in a backpack, outside. I tried to enter the world feet first, and was willfully walking by 9 months old. I’m not a big believer in destiny, but maybe I’ve been practicing for this life since youth. Or maybe I stumbled upon it. Regardless, I’ll keep at it until I’m satisfied. Some of my noteworthy adventures include the Appalachian Trail, Pacific Crest Trail, Continental Divide Trail and Northern Forest Canoe Trail.